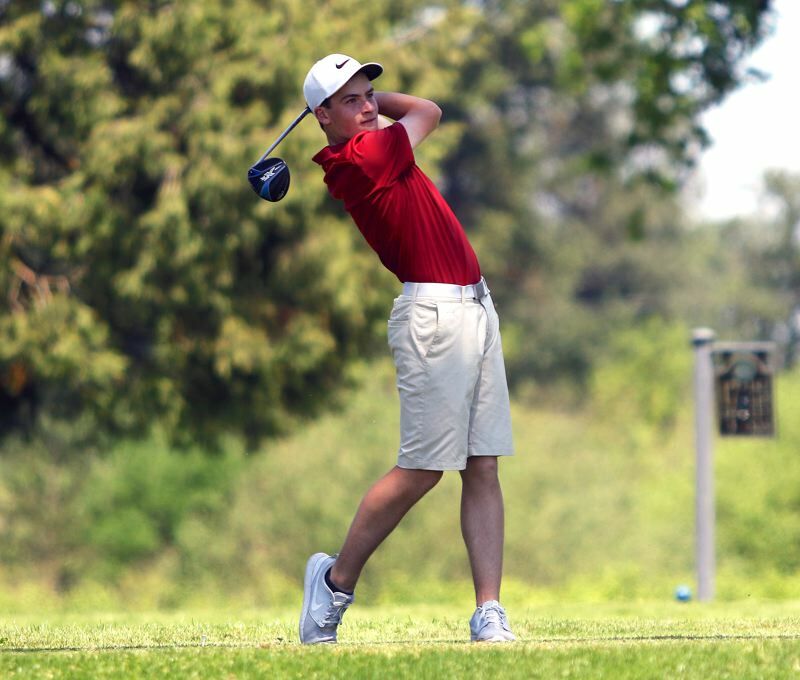 The Sherwood High School boys golf program has fielded some solid teams in the past. And, it appears that this year's Bowmen squad very well could have the potential to be one of the best. With that in mind, Sherwood has some high hopes as it enters play in the new Pacific Conference. "This year's squad is deep with talent and should set a standard the Bowmen have not seen for a few years," Sherwood coach Jeff Sterling said. "A berth at the OSAA (Class 6A) State Tournament for the team is the goal, and with hard work that goal should be achievable." Junior Mason Bonn, who earned Three Rivers League all-league honors last year, leads the way for the Bowmen squad going into the season. Last year, Bonn earned a state tournament berth as an individual, and ended up placing 10th at the Class 6A state event, held at the Emerald Valley Golf & Resort in Creswell. Other Sherwood players vying for varsity spots include sophomore Jackson Bensel, freshman Brody Bittner, senior Nate Howes, senior Alex Foley, sophomore Colby Fox, junior Isaac Lesyk and senior Evan Thorsell. "Junior Mason Bonn will lead seniors Nate Howes and Alex Foley, sophomore Jackson Bensel, and freshman Brody Bittner in the 2019 campaign in a new league," Sterling said. Other players in the Sherwood program include senior Cade Dovenberg, junior Jackson Murphy, senior Brandon Tesdall, sophomore Tim Ohman, freshman Seth Everhart and sophomore Daniel Na. The Bowmen are already off to a strong start to the Pacific Conference season. They took first place in the team standings at the conference-opening tournament, held March 18 at The Reserve Vineyards and Golf Club in Aloha, with a team score of 346 strokes. Newberg was second at that event with a score of 373. Fox was the medalist at that tournament with a round of 81. Also for the Bowmen at that event, Bonn shot an 83, Bensel had a 90, Howes shot a 91 and Bittner had a 92. At the second conference tourney, held Monday at Michelbook Country Club in McMinnville, Sherwood again took first place. This time, the Bowmen claimed the top spot with a team score of 331. Newberg was second at 357 and Glencoe was third at 363. Bonn claimed medalist honors at Monday's tournament with a two-over-par round of 74. Bensel shot an 80, which put him in a tie with Forest Grove's Parker Eakin for second place in the individual standings. Also for the Bowmen, Foley had a round of 86, Fox carded a 91 and Lesyk shot a 104. The next Pacific Conference tournament will be held Monday at Chehalem Glenn Golf Course in Newberg.